Geodis Wilson, one of the world’s leading freight management companies, has been presented with the Innovation Process Award at the Global Freight Awards 2012 in London. Geodis Wilson received the award for the development of an application that ties-together processes of sales, operations and IT. The ILS Configurator is an i-Pad based solution which is currently rolled out globally to Geodis Wilson’s sales force. The Global Freight Awards (formerly known as the IFW Awards) reward best practice in freight and logistics and seek to help improve standards in the global freight forwarding industry. The awards acknowledge the successes of top class performance across 16 categories. Geodis Wilson received the Award during the award ceremony at the Planit Embankment Gardens, London. This recognition has been independently judged and designed to acknowledge excellence in the freight and shipping industry. This is an important night in the freight and logistics market attended by more than 700 participants from many countries across the industry. 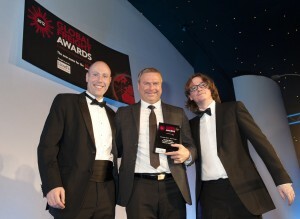 For more information on the Global Freight Awards, please click here. 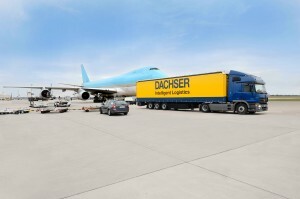 In 2011, the internationally operating logistics provider, Dachser (www.dachser.com), generated total revenue of EUR 4.3 billion. 21,000 staff working in 315 profit centres worldwide handled 49.3 million consignments weighing a total of 37.1 million tonnes. 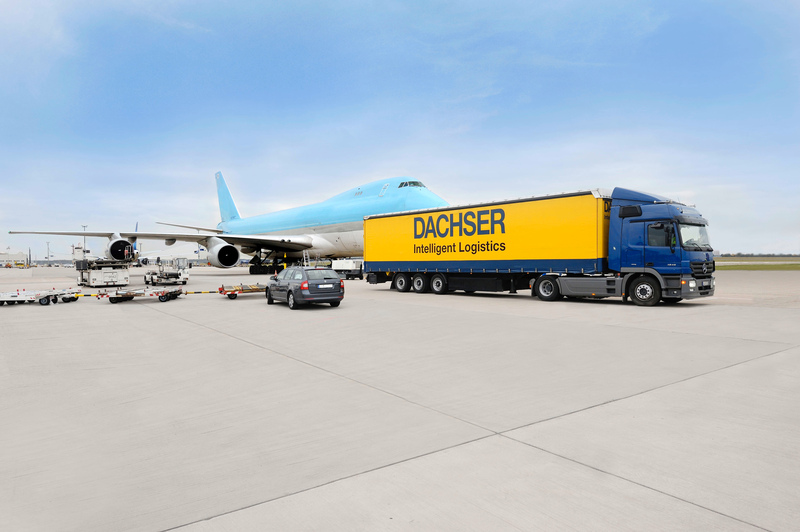 For more information about Dachser visit http://www.dachser.com. General picture material can be downloaded at http://www.dachser.com/de/de/picture_gallery.htm. Menlo Worldwide Logistics (Menlo), the global logistics subsidiary of Con-way Inc. (NYSE: CNW), is committed to the academic advancement of supply chain and logistics management; the Company is an advocate of professional training in the field throughout the world and invests in education. Its on-going support of the Supply Chain Management Masters Degree programme at Tilburg University, the Netherlands is testimony to this commitment. The award is designed to inspire students to excel in this area of study. Menlo recently took part in judging and presenting the Award for the “Menlo Best Thesis”, written by graduate students as part of their course, to Lotte Diepenmaat for her paper entitled, ‘Make Sustainable Sourcing Part of a Buyer’s DNA’. The awards jury, under the direction of Professor Vos, judged Lotte’s thesis as the winner. “The student formulated a well-defined research question based on the academic literature. Her thesis contains a highly-critical analysis of the literature. The benchmark study was carried out in a structured way and presented clearly. The thesis provided an extremely useful tool for application in practice and the client (a European-wide producer of consumer goods) has already implemented a number of aspects. In presenting the award to Lotte, Jeroen Tempels Menlo’s General Manager, Central Europe commented, “We intend our sponsorship of this best thesis award to benefit a generation of talented students and reward excellence in their course work. Central to Menlo’s business philosophy is the concept of continuous improvement and we believe our investment in academic research and education at two major universities in the USA, as well as Tilburg and others around the world is in keeping with this philosophy. Menlo will continue to recognize and reward outstanding performance wherever it is encountered within the logistics field”. Placed second in the award standings was Rutger Soffers, whose topic was ‘Towards modular residential care’ and third place went to Sanne Jansen, who produced a thesis entitled ‘Information sharing to reduce supplier’s delivery times’. In Europe Menlo Worldwide Logistics maintains seventeen dedicated and multi-client logistics and transportation control towers located in the Netherlands, Belgium, Czech Republic, Germany, Hungary and the United Kingdom. This warehouse and transportation network can serve as a pan-European distribution solution using one or several facilities. 3PL warehousing and distribution services, as well as 4PL supply chain and LLP transport management solutions are offered to a variety of vertical industry sectors including: fashion & apparel; healthcare and medical equipment; hi-tech electronic and data network equipment; automotive & heavy industry; defence and government services and retail e-fulfilment. The European headquarters is located at the multi-client Amsterdam Distribution Center in the Netherlands. Menlo Worldwide Logistics, LLC, is a subsidiary of Con-way Inc. (NYSE: CNW), a $5.3 billion diversified freight transportation and logistics company. For more information, please visit us on the Web at www.con-way.com. CKYH – the Green Alliance (COSCO, “K” Line, Yang Ming and Hanjin Shipping) is to implement winter service adjustment on Asia – Mediterranean trade in order to cope with the seasonal market demand. The CKYH members will cancel a total of 7 voyages on the current Asia-Mediterranean service loops from November, 2012 through the middle of January, 2013. Nevertheless, CKYH- the Green Alliance will continue providing excellent weekly service covering majority ports connecting Far East and Mediterranean region.